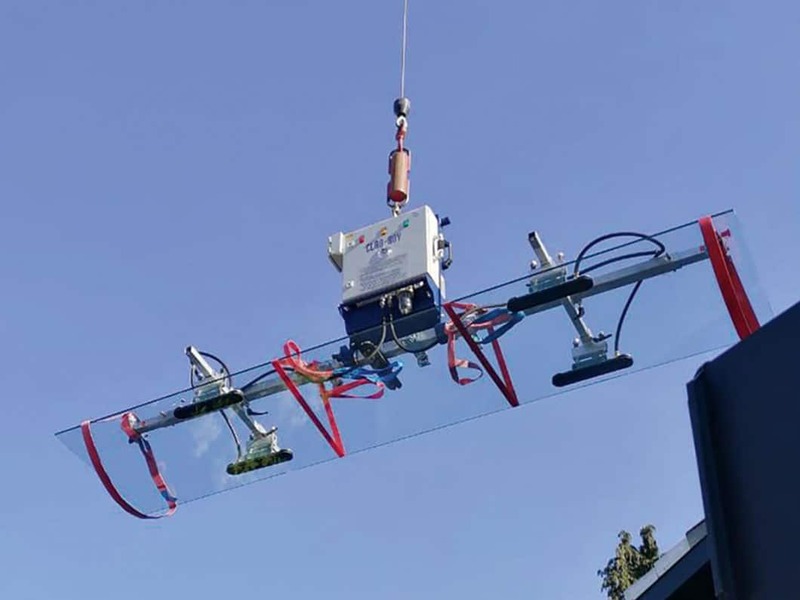 The two vacuum lifters, CLAD-BOY and CLAD-MAN, produced by Aero-Lift ensure that roof and wall panels plus trapezoidal sheets are transported safely whilst protecting the material. The CLAD-TEC, on the other hand, was specially developed for transporting heavy, flat glass horizontally and vertically. Designed for use on a mobile crane in a lightweight aluminium construction, it fits ideally into the Klaas range of accessories.